After an exhausting day one, it was time to get started on day two of the Tokyo adventure. The day started with a wonderful Japanese breakfast at the Comfort Hotel Kiyosumi Shirakawa, included in the hotel rate thankfully. From there, it was on to a local Buddhist temple just minutes away. 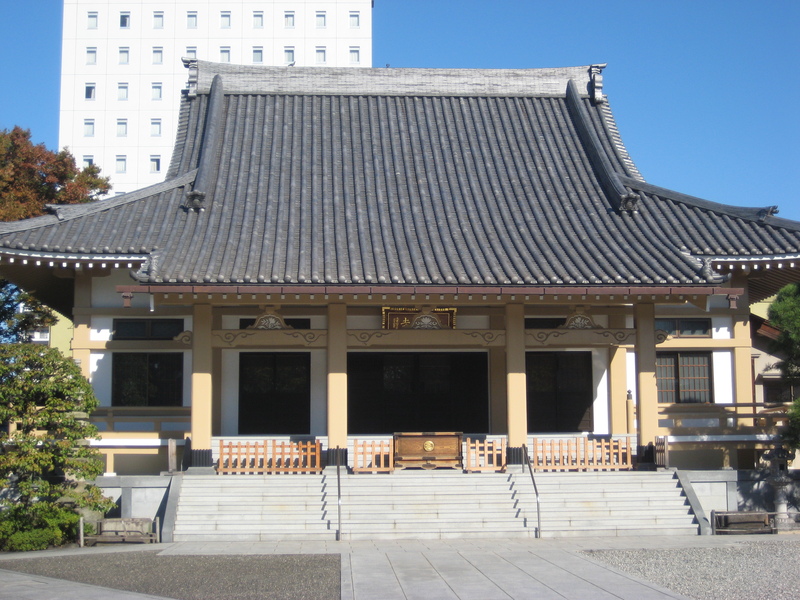 The name of the temple was Reiganji. There didn’t seem to be anyone there, but it was stunning and seemed somewhat random for a residential neighborhood. From there it was just steps to the Fukagawa Edo museum. 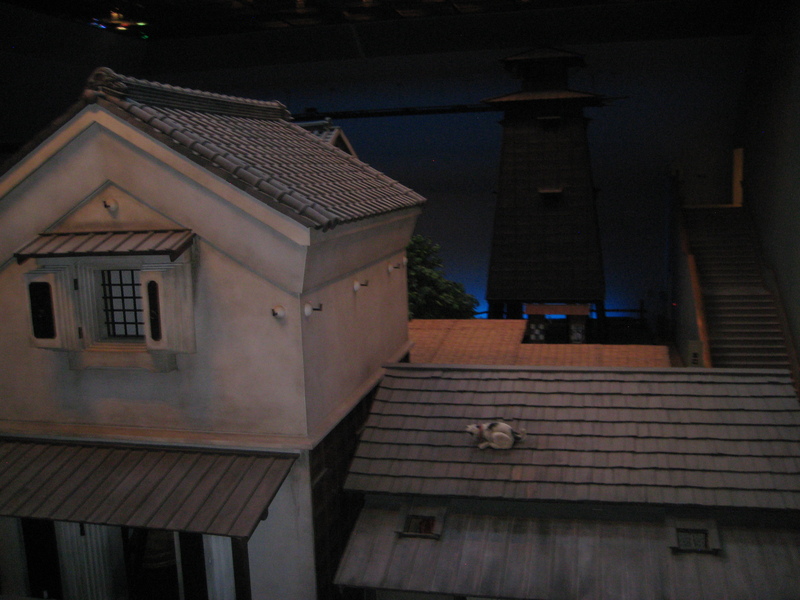 Like the Edo museum I had seen the day before, this gave some idea of Japan during the Edo period. However, this museum was far more interactive. 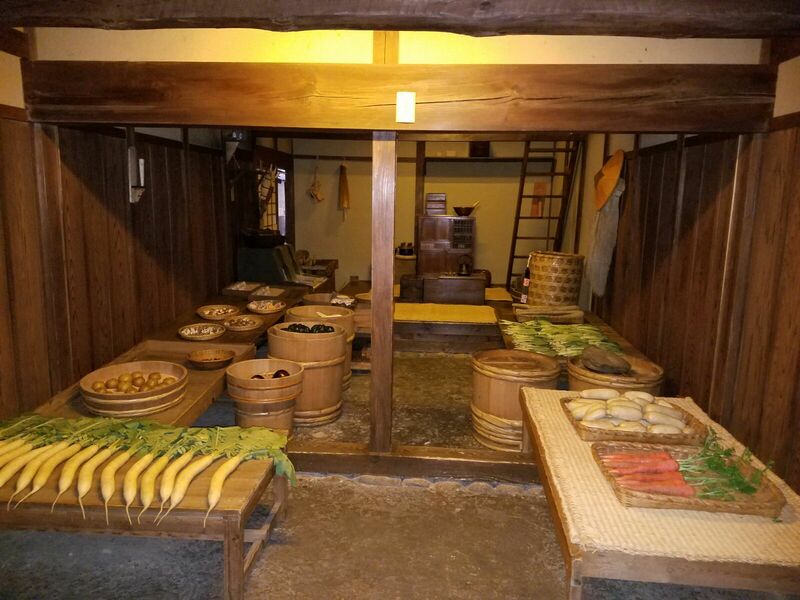 There was a neighborhood in scale, with several houses and markets, and a local guide to explain each building. One was even allowed to go into the buildings and sample a life in this period. This was an excellent exhibit, and again quite a wonderful surprise for a residential neighborhood. 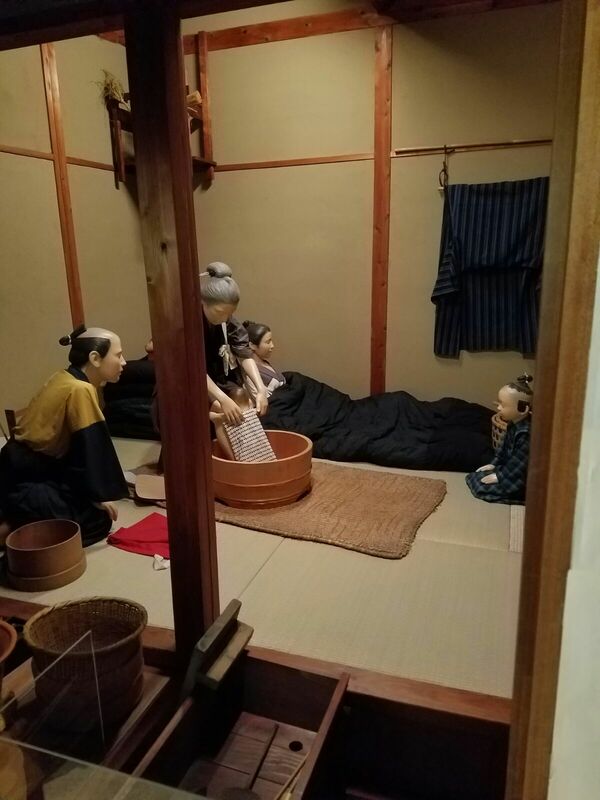 To be frank, I enjoyed this more than the much more well-known Edo museum from the previous day. After this, it was off to the anime haven known as Akihabara. This is an interesting neighborhood, at one time it was THE electronic market to visit in Tokyo, but now it is more the odd mix of offices and anime shops. Lunch here was fantastic, Japanese curry at the nationally famous chain Coco curry. Japanese curry is different than any other, it has more the appearance of a gravy with a smooth texture, but the taste is out of this world. 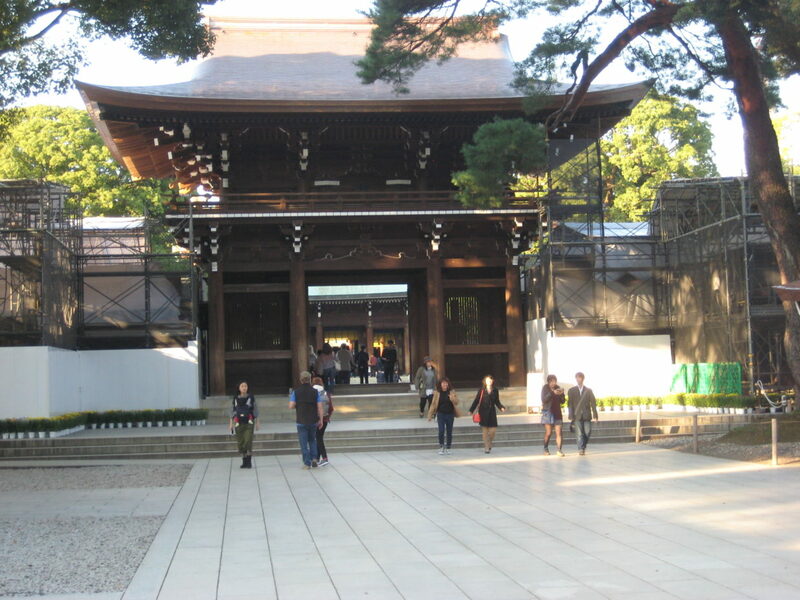 From here it was on to Meiji shrine, which is located in a gorgeous forest. This is a wonderful escape from the bustling streets of Tokyo, it’s hard to believe such a place exists in such a metropolitan city. 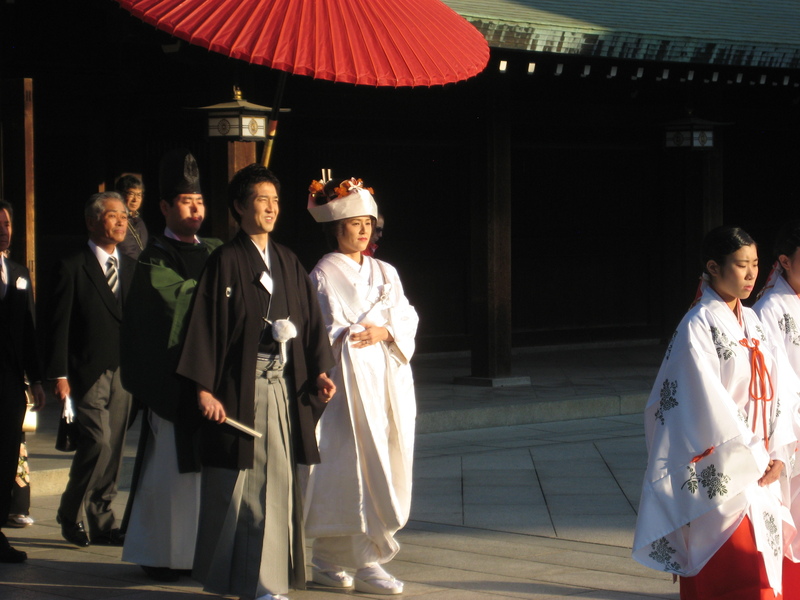 On this day, there was a wedding taking place; at first I wondered if it was someone famous due to the fancy dress of those involved, but I was told this was the norm for high-end Tokyo weddings. Finally, the evening led to Ginza, which is the upmarket shopping area of Tokyo. I didn’t do any shopping here, but did step into the Japanese juggernaut store Uniqlo. 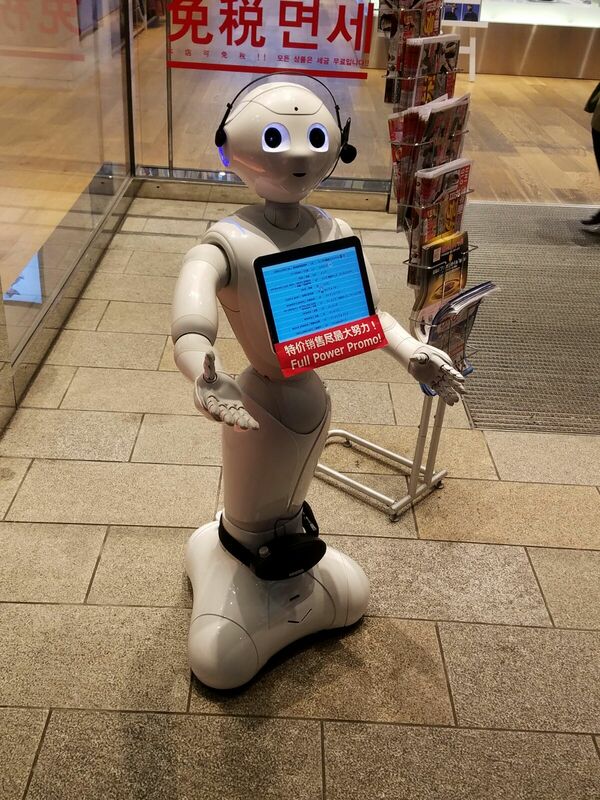 This was the first time that I was greeted at a store entrance by a robot. 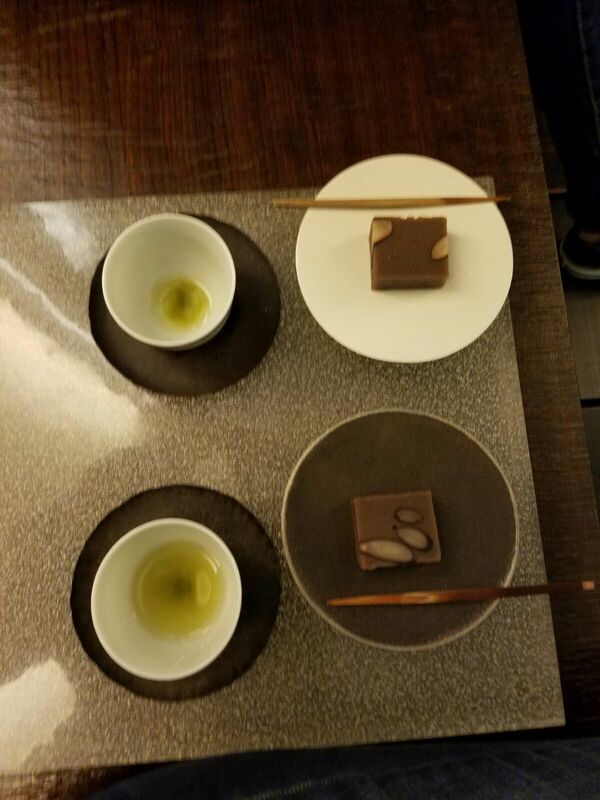 Around the corner from Uniqlo was an urban tea house, a fascinating experience where one feels truly taken care for. 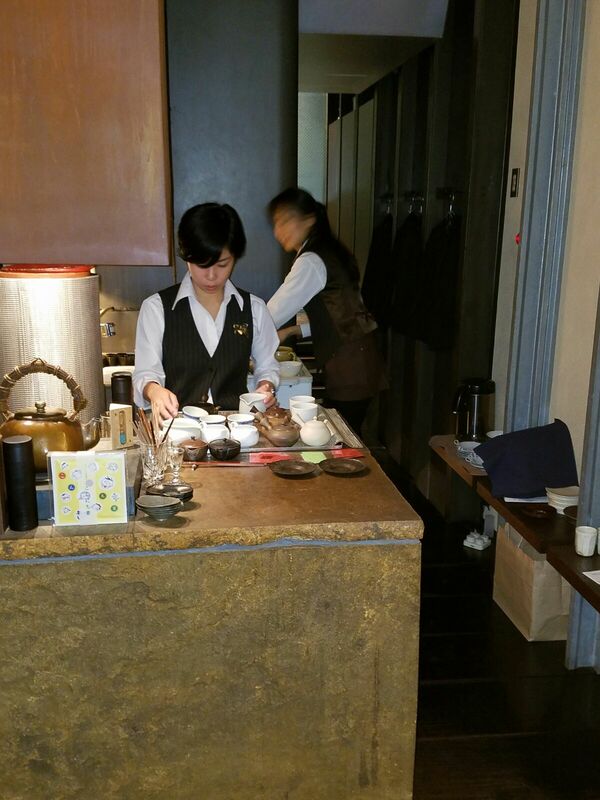 Basically, it’s a second floor room with benches, and teas and desserts are served one by one by the waitresses. It’s a great way to relax and pass some time in a swanky Tokyo neighborhood. Dinner was back in Kiyosumi, at a pizza place named Bella Napoli. This was recommended by the hotel and lived up to its reputation. The pizza was excellent, it was as authentically Italian as could be. I find it fascinating that Italian food tends to be more authentic and less heavy outside the USA. This was the end of my evening, and in the morning it was off to Bangkok. 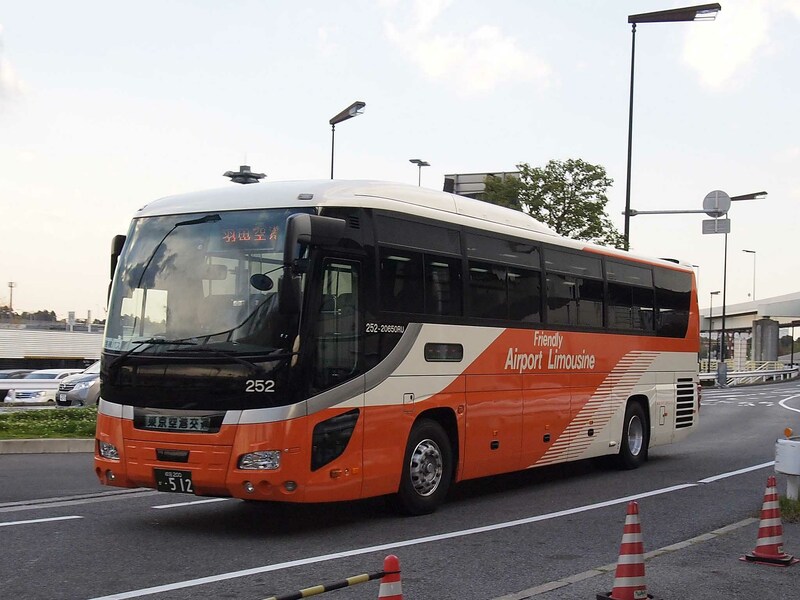 I didn’t have enough money to take the subway and monorail to Haneda airport, so I called an Uber to go to Tokyo City Air Station, which is a bus station nearby. From here, I took a limo bus to the airport for 790 yen, roughly $8 US. The level of service at the station was outstanding, workers took the bags and loaded them. Thus, there was no need to constantly watch one’s bag in the station. The bus itself had laminate flooring and each seat had plugs and ports for connectivity and charging. Since it was Saturday, there was no traffic, so it was about a 20 minute ride to the airport. It was different than the train, but more comfortable and no hassle of dragging luggage up and down stairs. All in all, the two days went by too short. One more day would have been ideal, to check out the National Museum and the Ueno area in general. Staying in a residential area was actually nice; one could observe locals living every day life and be in a quiet area with good local eats. The silver lining is that this mean there will be a return trip at some point in time.